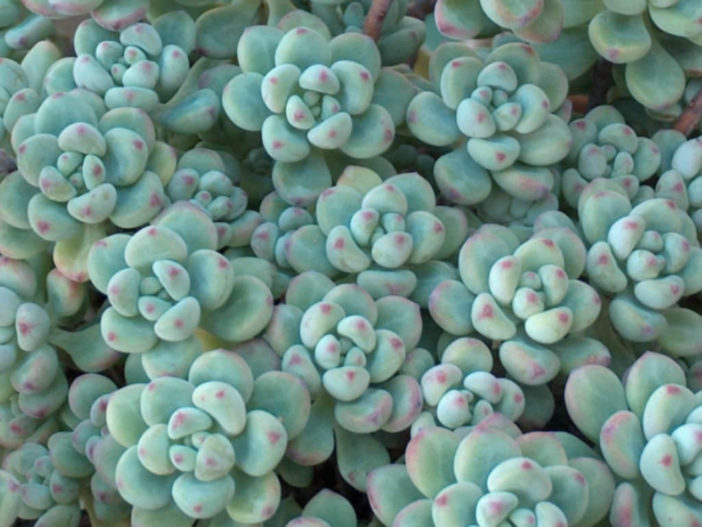 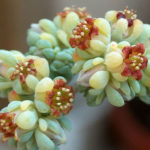 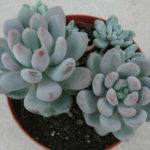 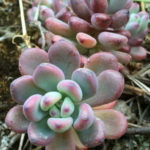 Sedum commixtum is a perennial, succulent subshrub, with several stems up to 1 feet (30 cm) long and with lax rosettes. 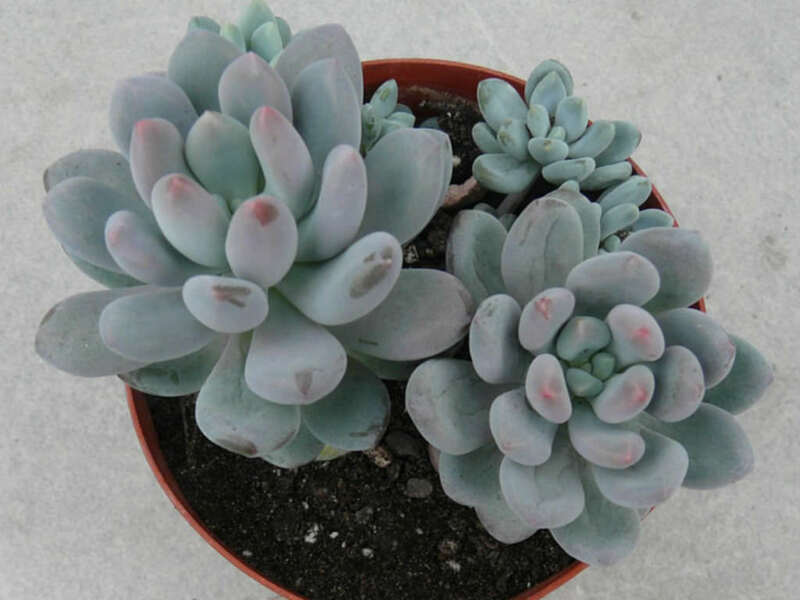 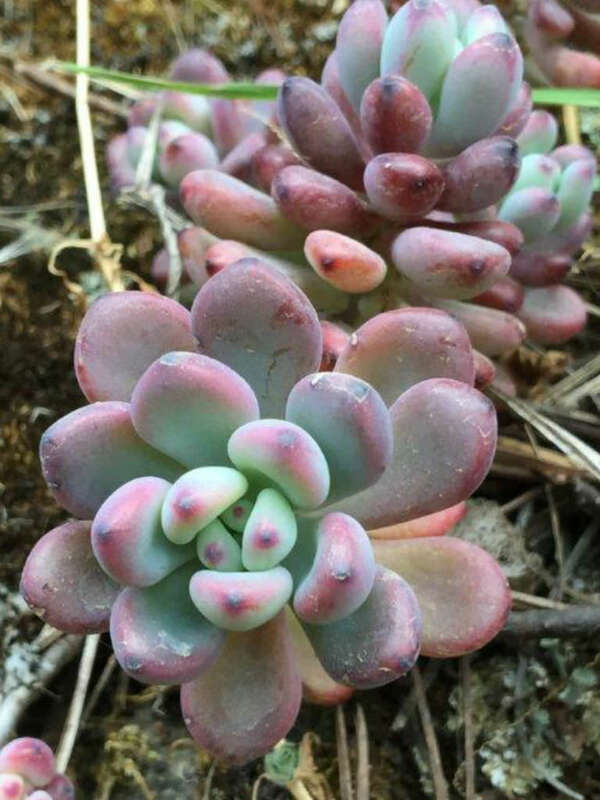 The leaves are waxy, first blue-glaucous, later purplish-red or brownish, up to 1.2 inch (3 cm) long and up to 0.7 inch (1.7 cm) wide. 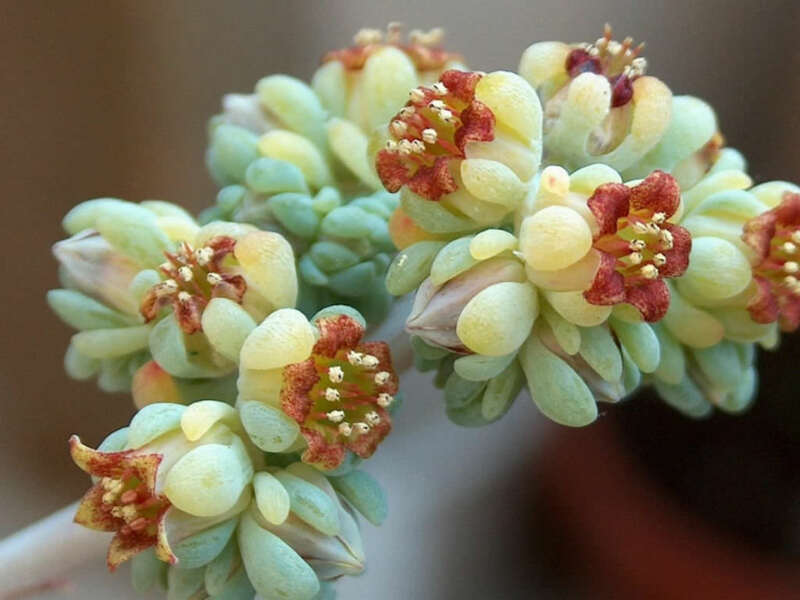 The flowers are small, star-shaped and dull yellow. It is native to Mexico.